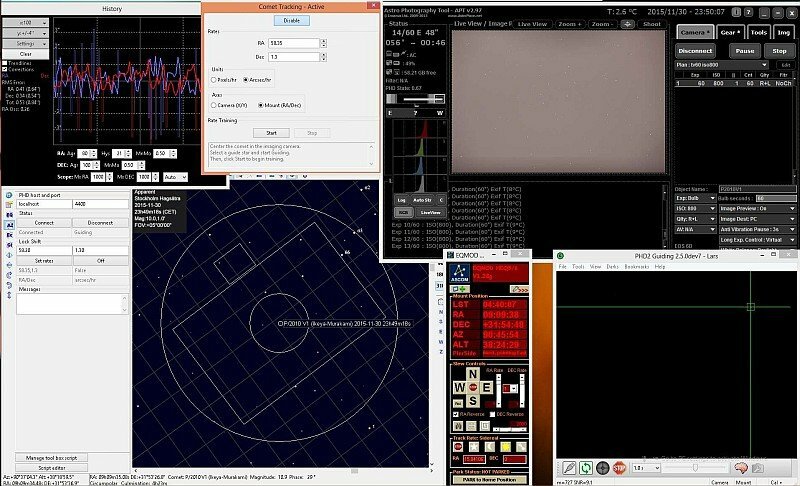 Here is an overview of the screen with the software I have running under a comet tracking session. One very interesting aspect off this is, you can guide on very weak moving object that guide camera and main camera could not see. But you can see it afterwards after stacking all the sub images. Could it be easier and more handy?